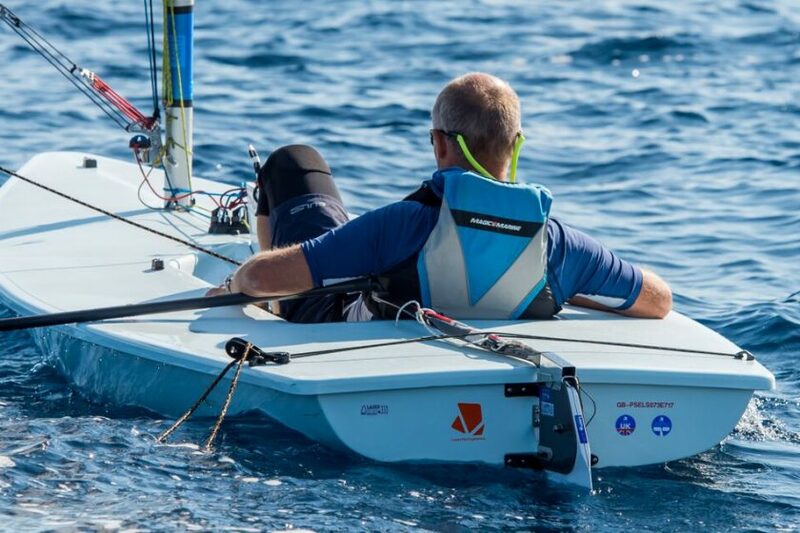 (Split, Croatia) – The 2017 Laser Masters World Championships kicked off today with a slow start. 350 Laser Master sailors spent the day ashore under sunny blue skies, hoping the weather forecast of light winds would prove to be incorrect. Unfortunately, their hopes were dashed as the last chance for a breeze came and went at 14:30. This was the expected time for a sea breeze to build, but no wind filled in. After phoning round the coast and looking over windless water, the Race Committee postponed racing until tomorrow. The shore waiting time was not wasted, as old friendships were renewed and racing stories were exchanged. Two races are scheduled for tomorrow.